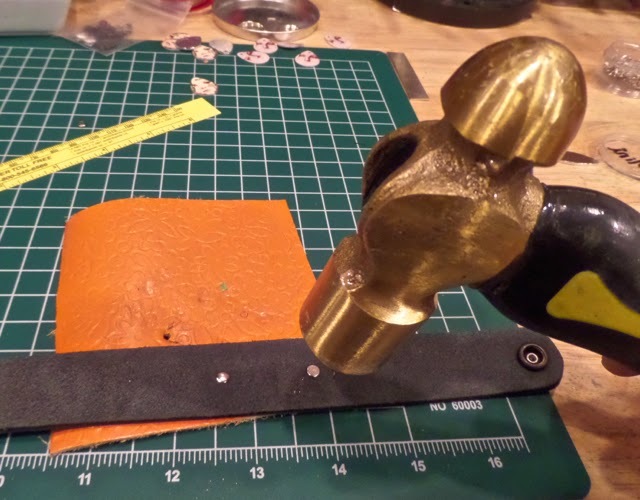 Setting Rivets in Leather can be a challenge. But with a few tips you can succeed! You'll need a Leather Cuff and an ID Tag with 2 holes. 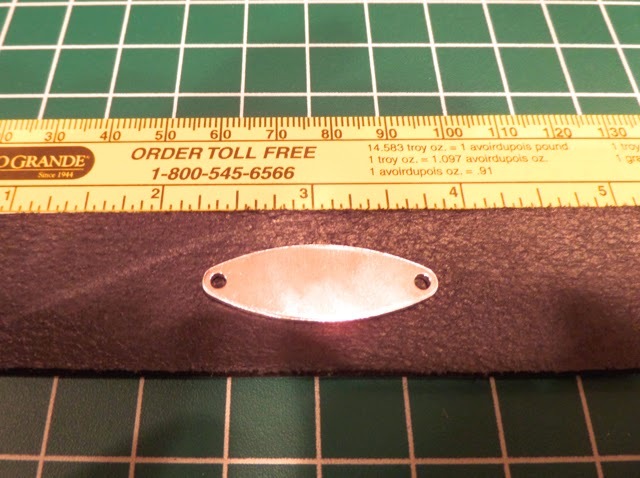 The leather cuff I am using is 1/8" thick and the ID Tag is .063" thick. 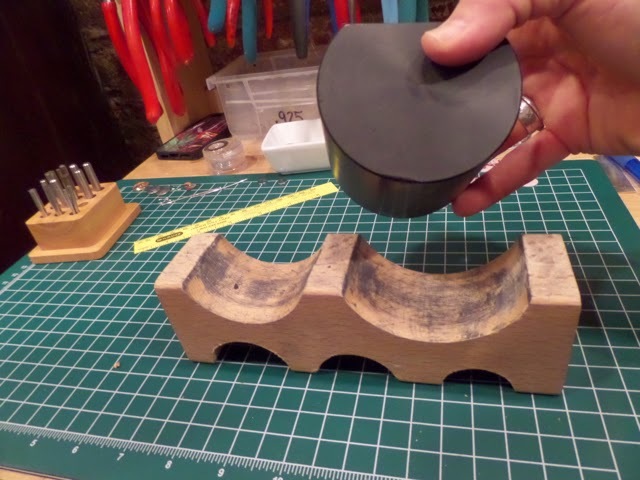 Step One: Flip the cuff over so you can make marks on the back. 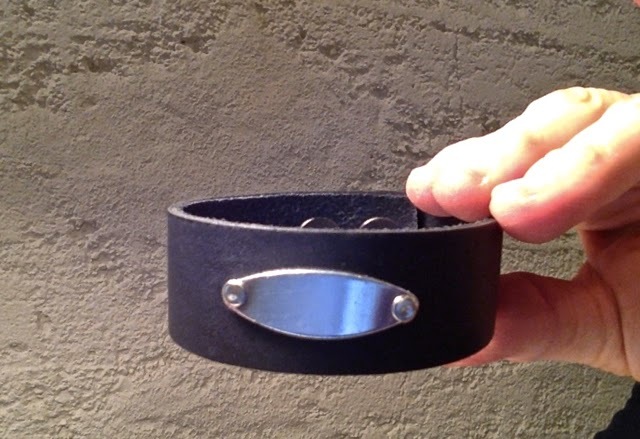 Find the center of the leather cuff. 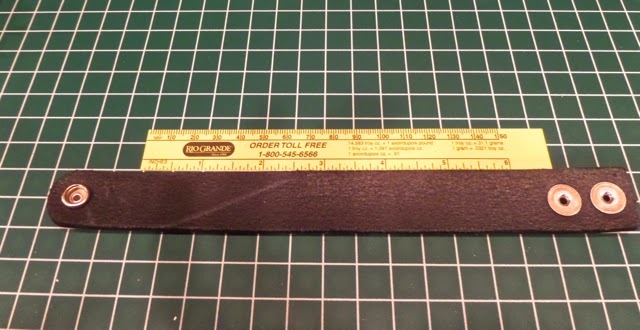 Step 2: Center the Blank on the back of the leather cuff. 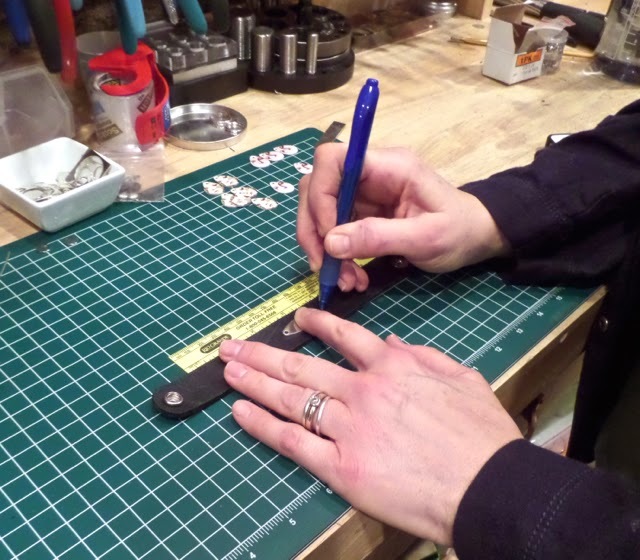 Step 3: Use a pen to mark the location of the holes. 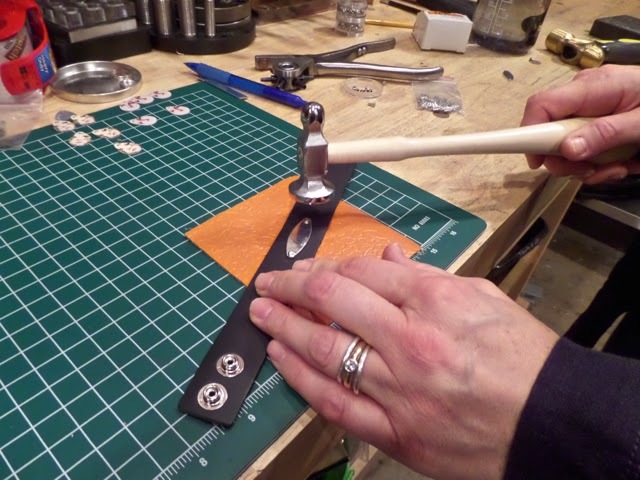 Step 4: Use the smallest hole on a leather punch. Punch holes in the marked locations. Step 5: Flip the cuff over to the front. Place the blank in the correct position making sure to line up the holes. Place the post half of the Rapid Rivets through the hole. or the regular recommended process. 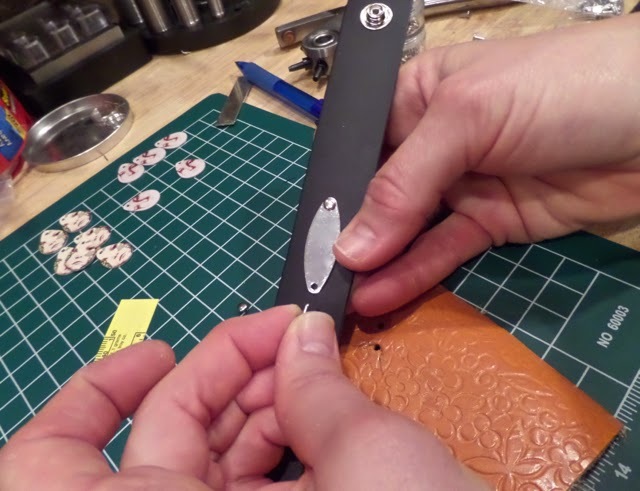 Step 6: Flip the cuff over and attache the rivet caps. Hammer the cap until you are sure that the two pieces are attached. Make sure to use a hard steel hammer. 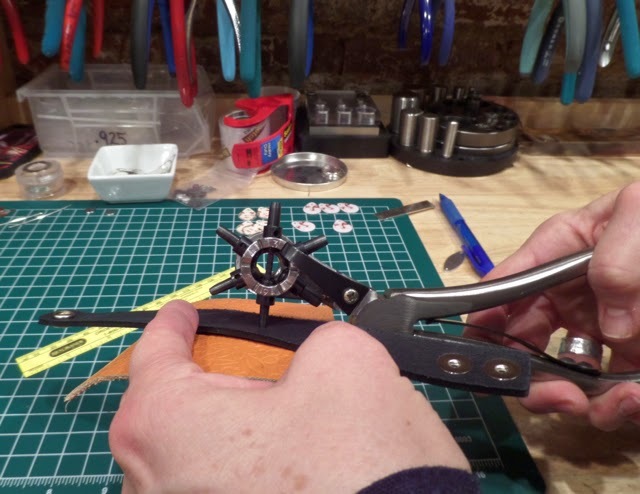 Step 7: At this time you can flip your cuff and over so the ID tag shows. may dome inward. The is because we are not able to use the domed setter. squeeze every but of length out of the post. ******You will notice that your blank is very flat. You can add a cure to the ID tag by using a curving block. 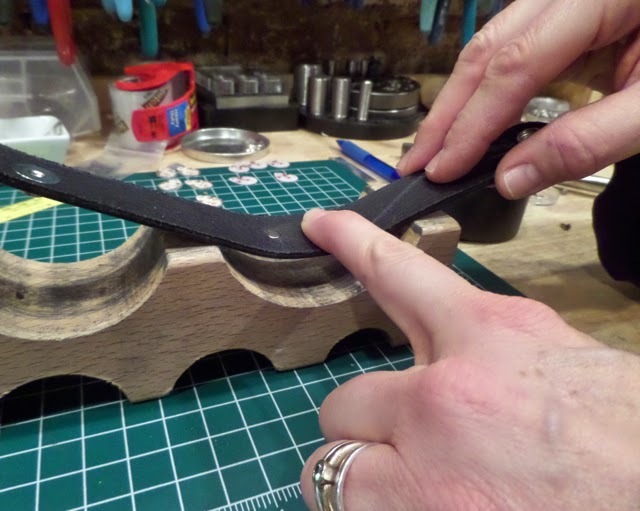 Step 8: Flip the bracelet face down into the curve of the block. 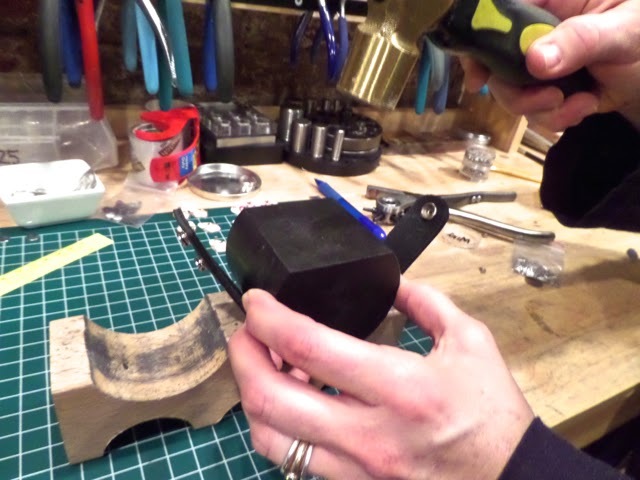 Place the block on top of the cuff and hammer. Double check to make sure that your rivets are still secure. Voila!!!! You have a beautiful ID Cuff!! !